We think Mozilla’s offerings and projects will help a lot on learning based on constructionism and learner-centered methodology. Here are some resources. The goal: help millions of people move from using the web to making the web. As part of Mozilla’s non-profit mission, we want to help the world increase their understanding of the web, take greater control of their online lives, and create a more web literate planet. Mozilla’s Thimble App makes it ridiculously simple to create and share your own web pages. Write and edit HTML and CSS right in your browser. Instantly preview your work. Then host and share your finished projects with a single click. The X-Ray Goggles make it easy to see and mess around with the building blocks that make up the web. Activate the Goggles to inspect the code behind any web page, from the New York Times to your own blog. Then remix elements with a single click, swapping in your own text, images and more. Use Popcorn Maker to create your own interactive newscasts, pop-up videos, multimedia reports, fan videos, guided web tours and more. Remix your favorite videos on YouTube or sounds on SoundCloud, add your own comments and links, or drag and drop in content from across the web. The result is a whole new way to tell stories on the web, with videos that are dynamic, full of links, and unique each time you watch them. It’s video beyond the box. BigBlueButton is an open source web conferencing system built on over fourteen open source components to create an integrated solution that runs on mac, unix, or PC computers. IHeartCode is an interactive learning platform that runs from a browser. It teaches people how to use git, work on the command line, code in Python and create web apps without the fear of breaking their PC. It stems from the belief that creation spurs learning. We are also working towards a collaborative learning revolution. Meemoo is a web application that encourages remixing and experimentation with web media. A Meemoo composition is a graph of modules and the wires that connect them. Modules are HTML pages that can live anywhere online, using any web technology. Wires represent how the modules send messages to each other. Compositions will be sharable on a community site. All compositions and modules will be forkable in the open source spirit of creative collaboration. Today learning happens everywhere, not just in classrooms. But it’s often difficult to get formal recognition for it. Open Badges solve this problem by providing public recognition for learning regardless of where or how it happens, showcasing new skills and achievements across the web to open doors and unlock career and educational opportunities. Mozilla is building an open source platform, called the Open Badge Infrastructure, that will make it easy for anyone to issue, collect and display badges. 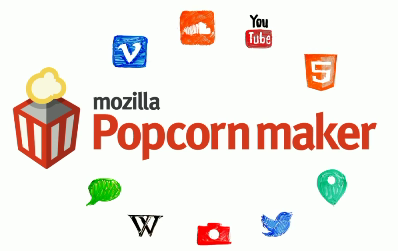 Using Mozilla’s Open Badge Infrastructure, any organization, group, course, community, etc. can issue badges backed by their own standards, assessments and seal of approval. Individuals can then earn badges from multiple sources, collect them in their badge backpack and display them across the web on their resume, personal web site, social networking profiles, employment sites, or just about anywhere they choose. Hive NYC is a New York-based Mozilla learning lab that engages youth around innovation, digital media and web-making. As part of a larger network of 38 organizations offering out-of-school programs for youth, Hive NYC provides a testbed for Mozilla projects, gives network members access to innovative digital literacy and web-maker programming, and allows youth to act as co-designers and builders in new Mozilla learning initiatives like Hackasaurus, Open Badges, Mozilla Popcorn and the School of Webcraft. Finally, you are invited to think : what’s web literacy? Mozilla Web Literacies White Paper is a work in progress, the skills, competencies and literacies needed to not only consume but help make the web are organized. Check it out here.